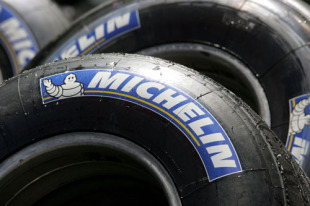 Rumours that French tyre company Michelin may return to Formula One under a very different set of tyre regulations have flooded the paddock, after the subject dominated a meeting between Bernie Ecclestone and F1 team bosses on Friday. 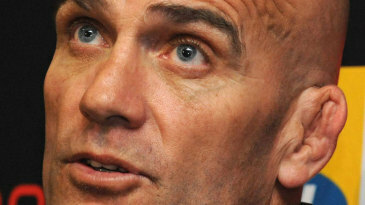 One of F1's greatest concerns ahead of 2011 is the loss of Bridgestone as an official tyre supplier. Reports suggest Michelin is willing to return to the sport but "wants money" and to work with a tyre formula closer to its other current sports car projects. It is rumoured to be asking for between €2-5 million per team per season as well as free advertising around circuits. Its other proviso is that the tyres would be mounted on 18 inch rims rather than the current 13 inch ones, in order to allow Michelin to share its technology between F1 and its current racing series. There are also suggestions that a new tyre war might break out, as Bridgestone is rumoured to be rethinking its decision to leave F1 if the teams pay for their supply contracts. Korean manufacturers Hankook or Kumho are also being linked as potential competitors. However, it is believed the teams are still far from making a unanimous decision, as any change to the tyre regulations would require a costly rethink of chassis design. It is also thought that Ecclestone is proposing that any advertising revenue lost by giving Michelin free circuit hoardings should come out of general revenue - i.e. the teams' share.